Downton Abbey may be over, but there’s at least one scene you’ll never forget. 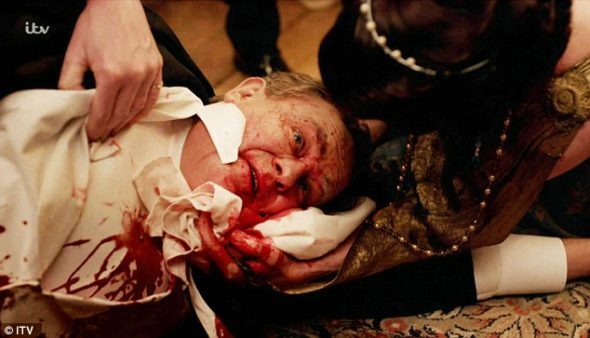 The creative team behind the ITV/PBS series recently spoke with Variety about the infamous bloody dinner scene with Lord Grantham. The historical drama finished airing its sixth and final season this past winter in the U.S.
What do you think? Did you watch Downton Abbey? Do you remember the bloody dinner scene? Were you shocked? Downton Abbey: Has Maggie Smith Signed on; Sequel Film Confirmed?